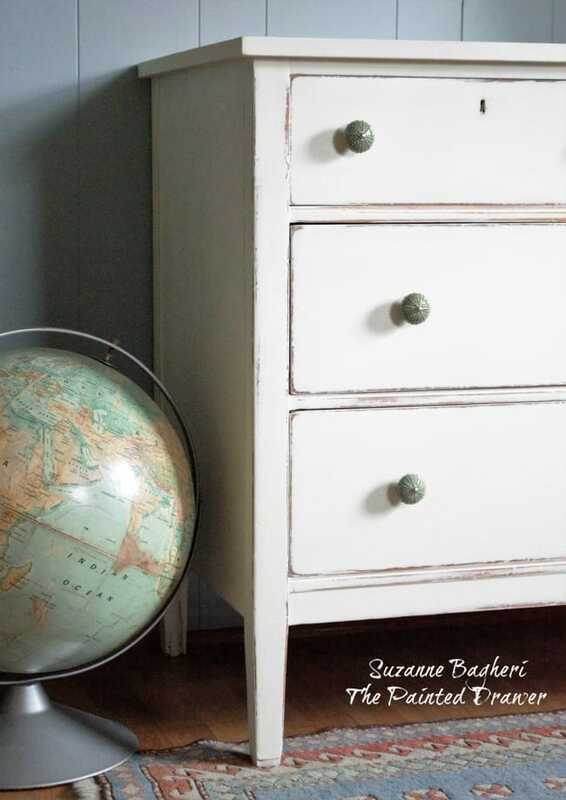 The Simply White Farmhouse Dresser is done! This piece was found at a thrift store. It was in good shape but had the typical dings and nicks and really needed a makeover. 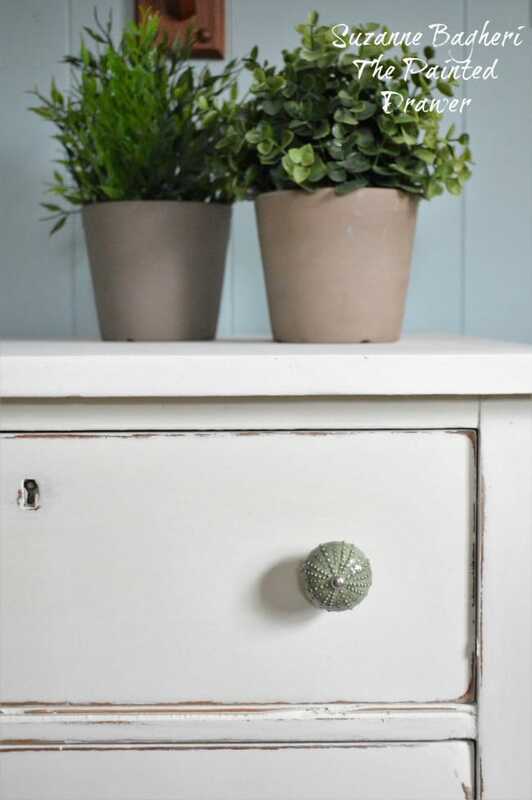 After applying and sanding wood filler in places (such as the large holes on the top), I applied three coats of Annie Sloan Old White paint. It took three coats to cover really well. It was then sanded all over in 150 grit sandpaper to create a super smooth finish. 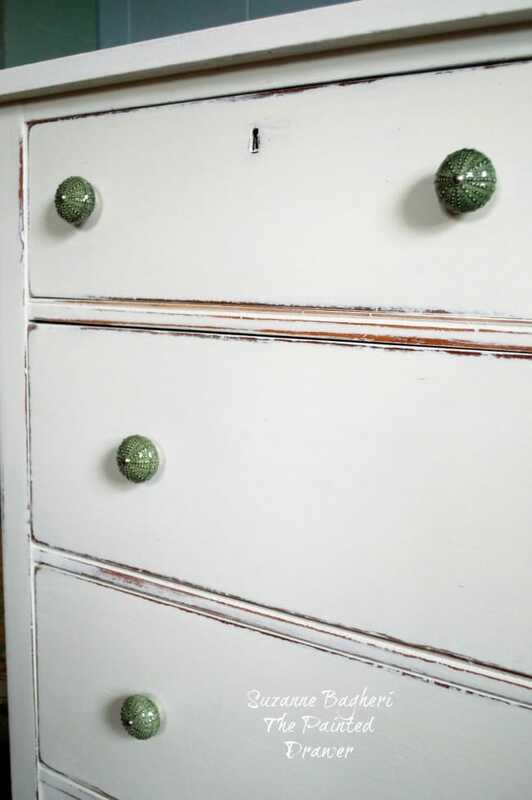 It was distressed in places and I then applied Annie Sloan clear wax to seal. 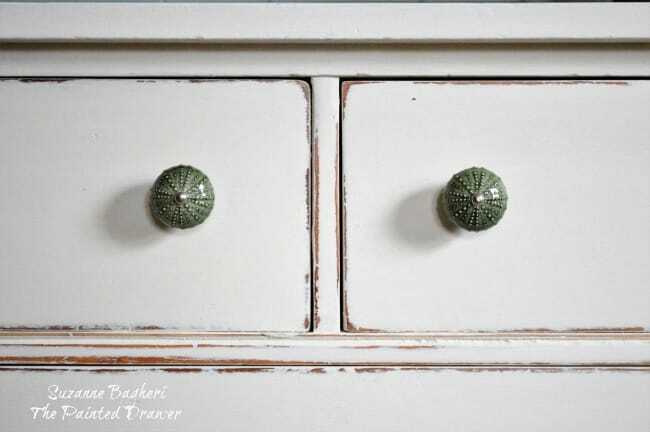 I also added fun green ceramic drawer pulls. And after! 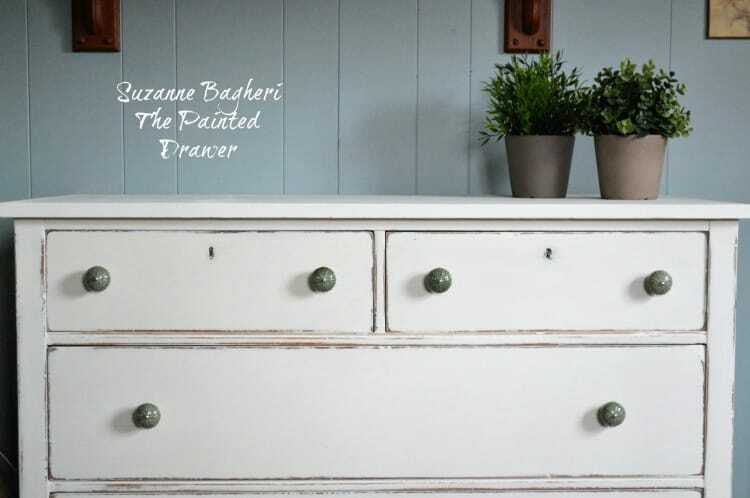 What a difference – the Simply White Farmhouse Dresser! 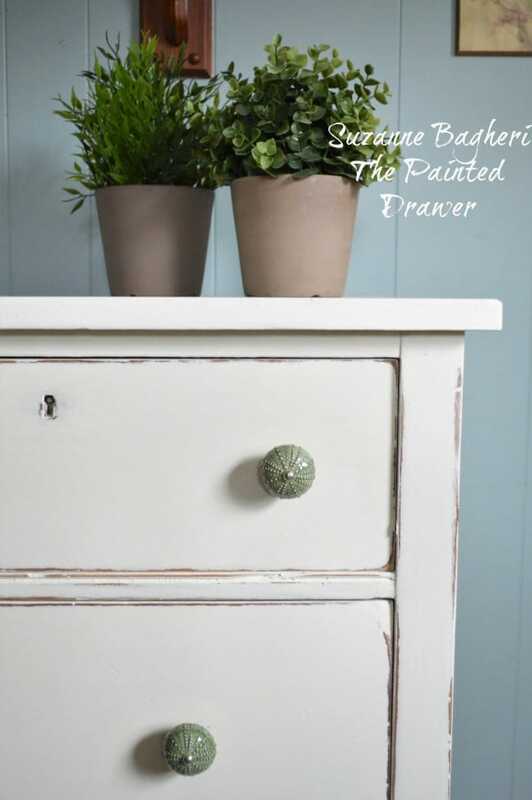 Oh, what white paint can do! Love it. 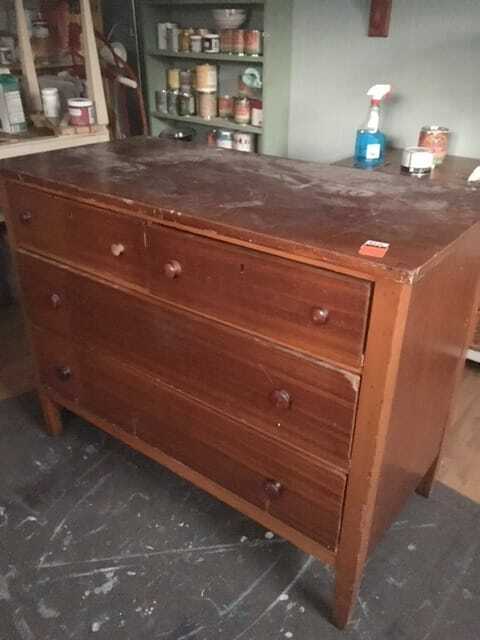 Have one nearly like it that I use as a night stand. 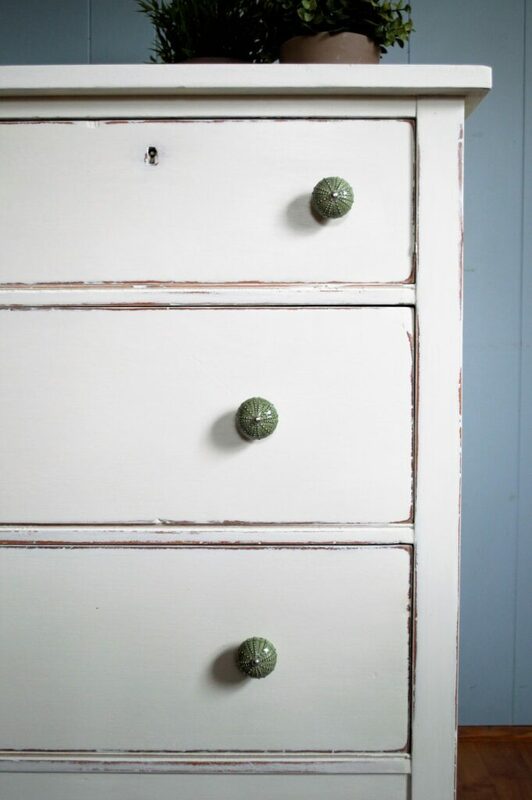 It’s painted a soft green and I love the storage it provides. Sure could use those pulls! Where did you get them?! 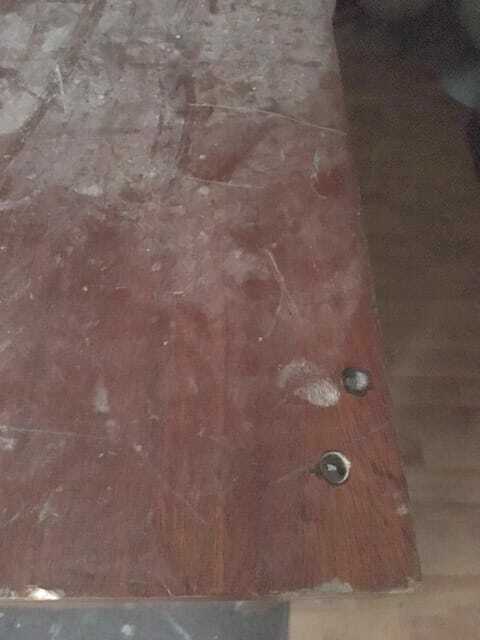 Hi Linda, I got these at HomeGoods – look at World Market also for fun ceramic pulls. Thanks! 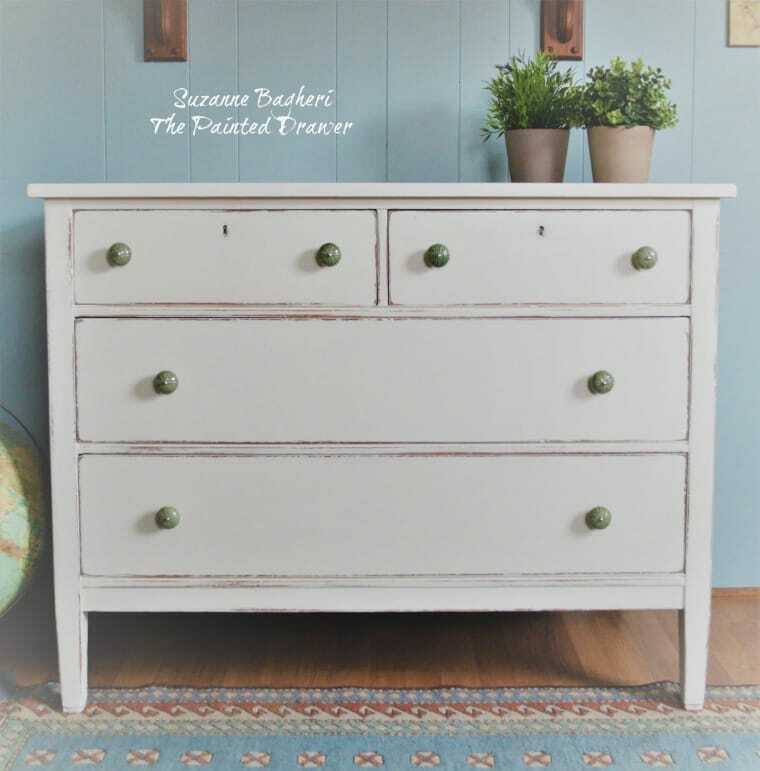 The dresser is so pretty! 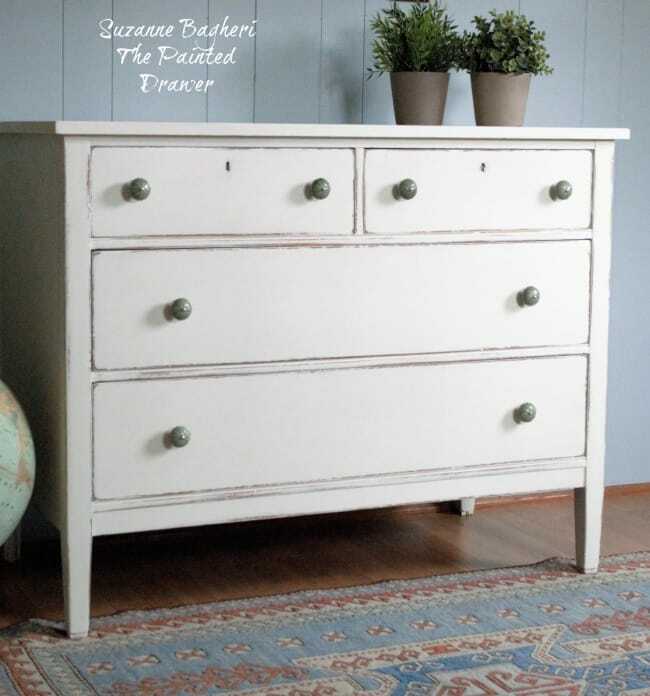 As always you did a beautiful job giving this dresser a new life and look. Thank you so much! It was a fun transformation! It looks so good! What an improvement. 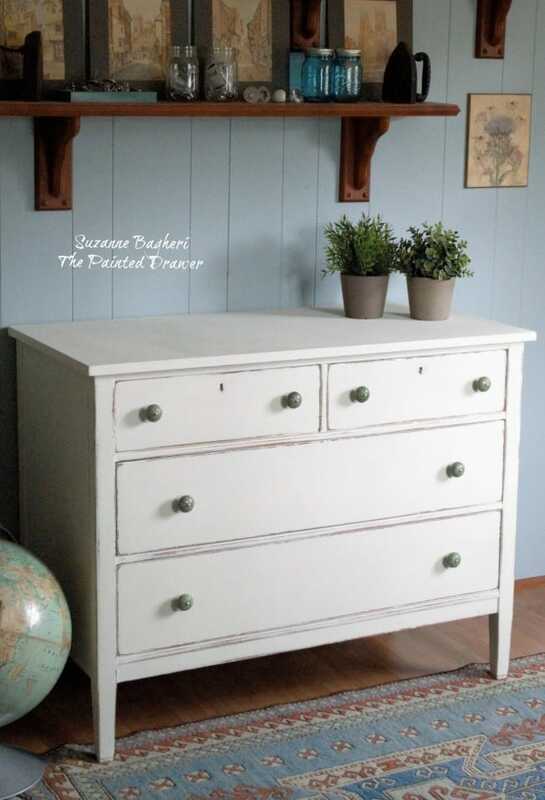 I love this look and those knobs…prefect! I think most pieces almost tell you how they should be painted don’t you!? They absolutely tell me at first glance! Thanks, Annie! Thank you, Marie! I appreciate it! It looks so much better !!! What an improvement. Good job!